Arts and crafts are a fun way to explore cultures from around the world. Readers learn about the holidays, celebrations, and other cultural events unique to a variety of countries, including Mexico, Egypt, Japan, and Canada. As they learn, they can also follow detailed instructions to create crafts inspired by the cultures in each book. Colorful photographs allow readers to see what life is like in these exciting countries, and eye-catching fact boxes provide additional information. Readers will enjoy this creative look at life in other countries! Much like the United States, Canada is a nation that’s home to many different kinds of peoples and cultures. Canada is known as a wintery country, and Quebec has one of the largest winter festivals in the world! But there’s much more to Canada than just winter fun. This volume takes readers on an exciting tour of Canada’s colorful history. The fact-filled text explores customs and crafts that show readers firsthand what it’s like to be Canadian. 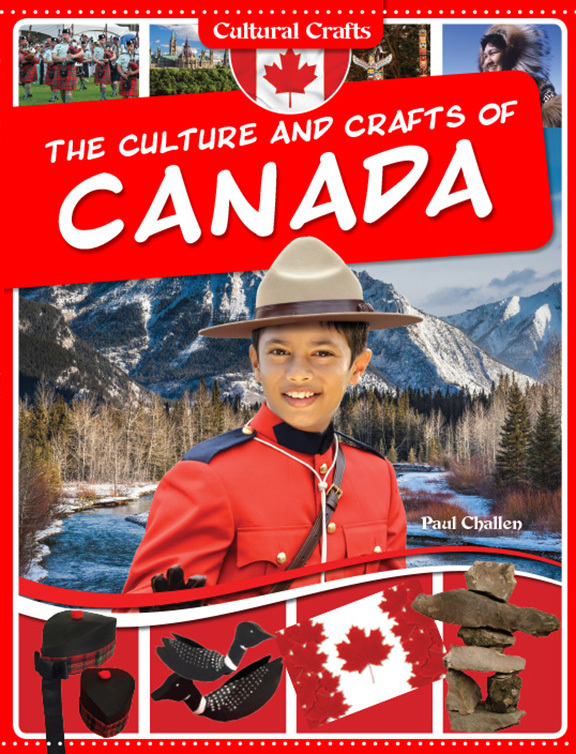 Vibrant photographs of Canadian people, places, food, and icons are paired with accessible, step-by-step instructions for making a host of Canada’s cultural crafts, including a Mountie hat, a Canadian flag, and even traditional Inuit crafts! The African country of Egypt was the center of one of the first human civilizations. Just looking at photographs of ancient Egyptian pyramids, jewelry, and even mummies shows how imaginative and intelligent the ancient Egyptians really were. Today, Egypt is still a source of beauty and creativity. The crafts featured in this book include a tambourine, a papyrus scroll, and even a death mask! 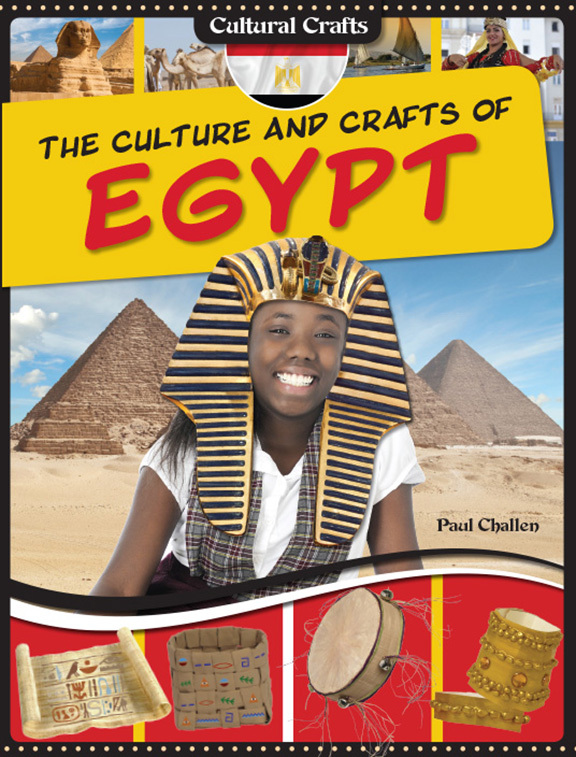 Readers are sure to enjoy learning about the Egyptian culture while learning about traditional Egyptian crafts at the same time. Colorful photographs and step-by-step instructions accompany the curriculum-based text to reinforce learning. India has a long, colorful history. Today, it’s home to a diverse population of people, representing different cultural backgrounds. Visitors to India are thrilled to witness Diwali and Holi, which are two of the most energetic and colorful festivals in the world. India is also a land of diverse geology, featuring the world’s tallest mountain range, meandering rivers, deserts, and tropical locations. 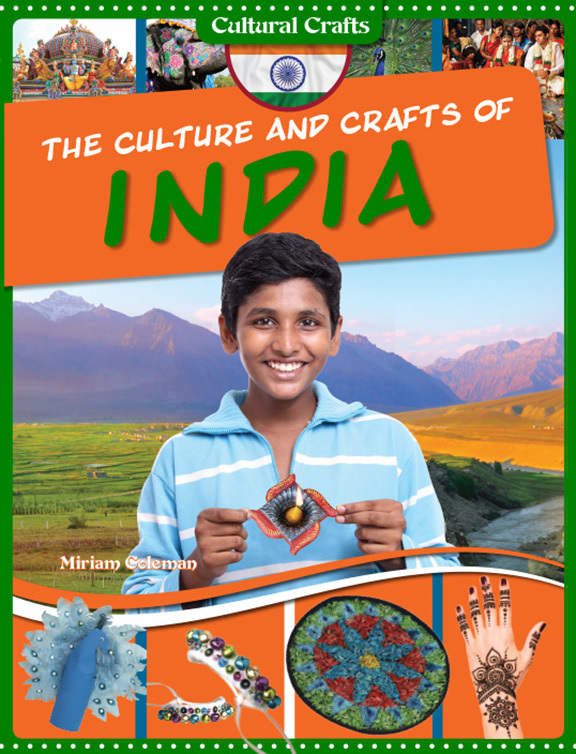 Inside this volume, readers will explore the culture and traditional crafts of India. The curriculum-based text includes step-by-step instructions for several Indian crafts, including rangoli designs, diya lamps, and more! This book is filled with images depicting the colorful people, locations, and customs of India. The Roman Empire lasted from 27 BC to AD 476. It was an era of military conquest, but it was also a time of great cultural, artistic, and architectural advancements. However, modern Italian culture has been influenced by several other cultural sources, including the concepts of the Renaissance, as well as the cultures of neighboring countries. There’s no wonder Italy has developed such rich and imaginative cultural traditions. The curriculum-based text and vibrant images come together to make this a truly engaging volume. 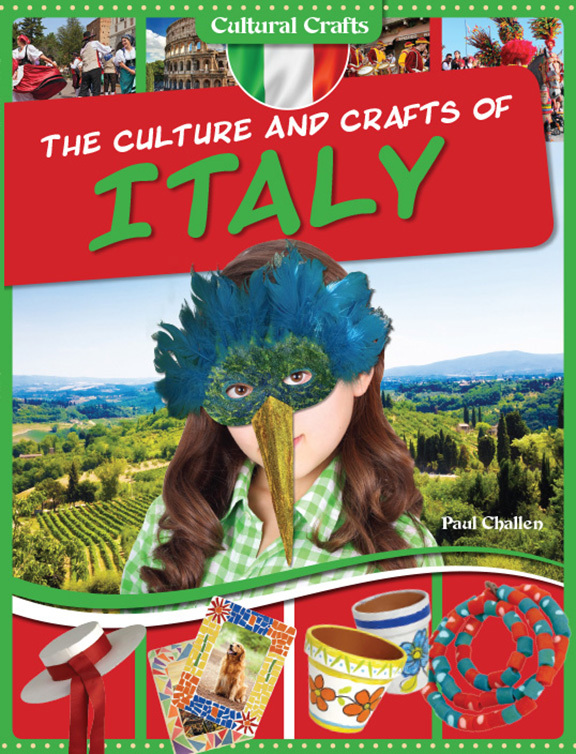 This book also contains step-by-step craft instructions for creating carnival masks, mosaics, and more! In many ways, the culture and traditions of Japan are very different from our own. Just by looking at the detailed photographs in this book, readers will see that the Japanese have unique and beautiful architecture, clothing, festivals, and more. The same can be said for Japanese crafts. Readers will likely be familiar with origami, but this book also contains step-by-step instructions for making nengaj? (New Year’s) cards and a Samurai hat. 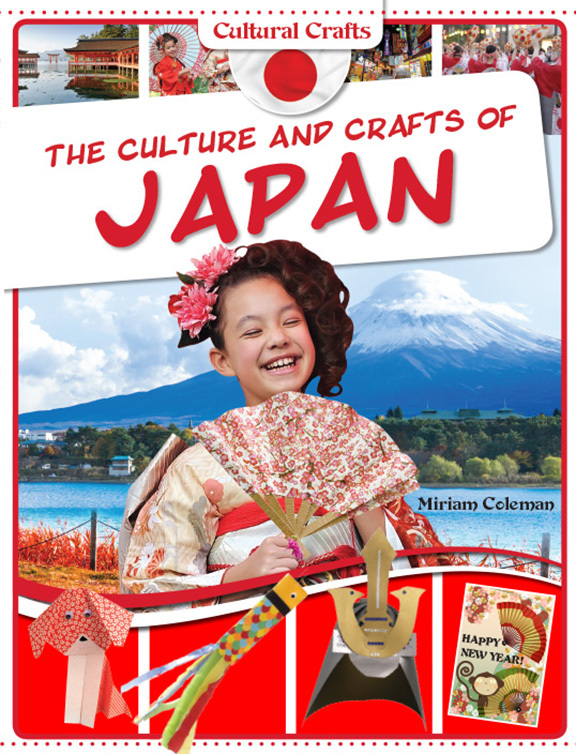 Readers are sure to love learning about Japan and its many wonderful customs and traditions from this curriculum-based, high-interest text. The piñata has become a birthday party staple in the United States, but it originated in the celebratory culture of Mexico. From Cinco de Mayo to the many religious festivals, the parties in Mexico often show deep cultural roots that include ties to the Spanish and Aztec people of the country’s past. 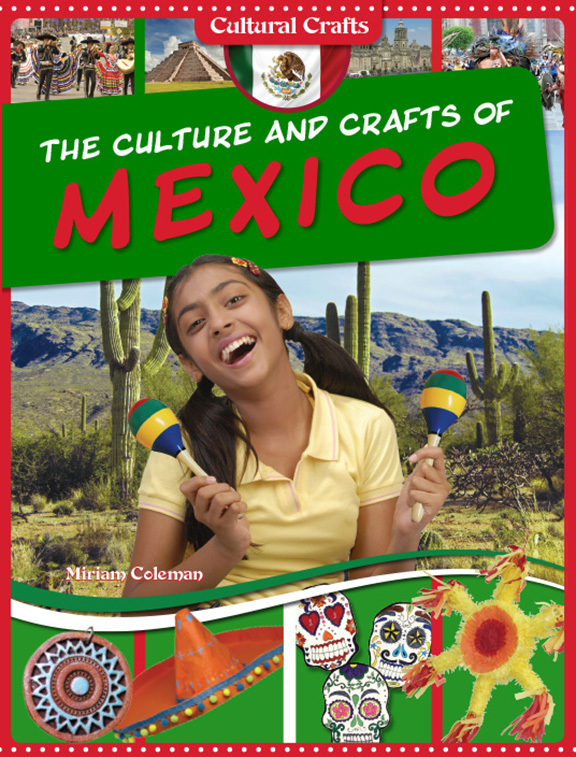 Readers experience the vibrant Mexican culture and history through crafts in this book, including step-by-step instructions on how to make a piñata, skull mask, and maracas. These fun, easy-to-do crafts engage readers with social studies information about Mexican national holidays, traditional architecture, and even the popular sports of bullfighting and soccer! Series developed and produced for Rosen/PowerKids Press by BlueAppleWorks Inc. Marketing copy courtesy of Rosen Publishing. Visit Site.